The brain is particularly sensitive during the middle years. The brains of obese individuals are physiologically 10 years older than lean individuals, new research finds. Scientists looked at the brain’s white matter. The white matter is the tissue that connects the areas and enables them to communicate with each other. 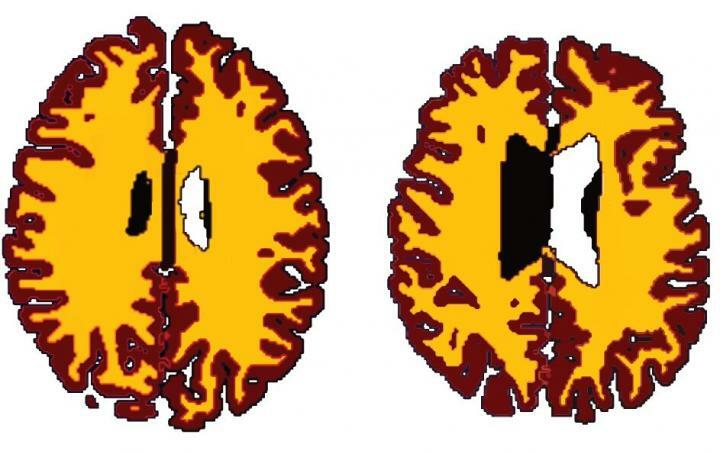 “As our brains age, they naturally shrink in size, but it isn’t clear why people who are overweight have a greater reduction in the amount of white matter. The study looked at the brains of 473 people aged between 20 and 87. Overweight individuals had significantly less white matter in their brains than lean individuals. The differences were only seen from middle-age onwards. “We’re living in an ageing population, with increasing levels of obesity, so it’s essential that we establish how these two factors might interact, since the consequences for health are potentially serious. The fact that we only saw these differences from middle-age onwards raises the possibility that we may be particularly vulnerable at this age. “We don’t yet know the implications of these changes in brain structure. Despite the differences in brain volume, there were no deficits in cognitive abilities in overweight or obese people. The study was published in the journal Neurobiology of Aging (Ronan et al., 2016).